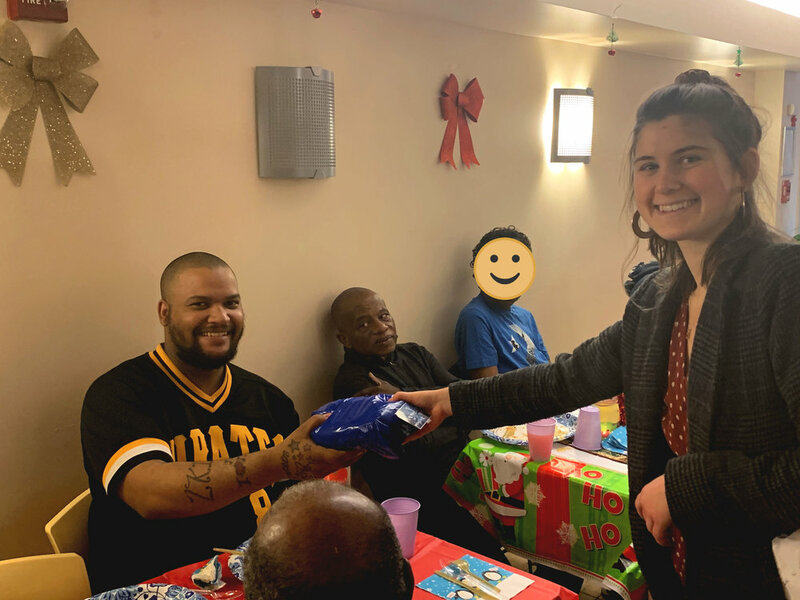 Christmas cheer was spread this year at the NCS Residence and Louis Nine House as tenants, staff, volunteers, and guests celebrated with festive meals and presents! The Louis Nine House community shared a holiday dinner on December 20th. Bombas joined the celebration and gifted a new pair of socks to each of the tenants. At the NCS Residence, the celebration included raffled gift certificates, presents for all the residents, and festive music. Thank you to all of the volunteers who made the NCS residents’ Christmas so merry!